Dr. Rebecca C. Lee currently serves as an Associate Professor of Nursing in the University of Cincinnati College of Nursing where she teaches courses in the RN-BSN, BSN, and PhD programs. She holds advanced certification in Community/Public Health Nursing as well as Advanced Transcultural Nursing, applying these skills both in the classroom and community settings through her ongoing teaching, practice, and service. From 2015-2017, Dr. Lee held an appointment as the Director of the Institute for Clinical Inquiry at the University of Cincinnati Medical Center. In that role, she mentored patient care services staff in completion of evidence base practice clinical ladder projects as part of professional development. She also consulted with other staff regarding practice based research. In partnership with various community groups, Dr. Lee has participated in several research projects in the areas of family homelessness, infant mortality, end-of-life care of dying children and their families, and reduction of health disparities through the use of CBPR. For her dissertation research, Dr. Lee conducted an ethnographical study exploring the influence of culture on the experience of family homelessness for Appalachian mothers caring for their children in an urban homeless shelter. That study was funded through the 2007 Leininger Human Care Research Award provided by the International Association for Human Caring. 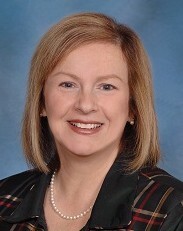 In a follow-up study, jointly funded through the 2010 Transcultural Nursing Society Research Award and the 2010 Leininger Human Care Research Award, Dr. Lee explored the transition experiences of a group of Appalachian mothers after leaving an urban homeless shelter as they sought to reestablish their families in the community. In 2012, Dr. Lee was funded by Pfizer Medical Education Group as part of an interprofessional group exploring strategies for improving pneumococcal immunizaiton in an at-risk urban community. This project combined CBPR and QI methods to enhance community participation in designing an evidence-based immunization program. Recently, Dr. Lee completed research funded by Interact for Health in which she is explored the process of health promotion among adults transitioning from homelessness. Dr. Lee holds a Bachelor of Science degree in Microbiology from Virginia Tech, an Associate degree in nursing from the University of Cincinnati Blue Ash College, a Bachelor of Science degree in Nursing from the University of Cincinnati, a Master of Science degree in Community and Public Health Nursing from the University of Cincinnati, and a Doctorate of Philosophy in Nursing Research from the University of Cincinnati. Recently, Dr. Lee completed a Certificate in Qualitative Methods at the University of North Carolina at Chapel Hill. Beginning in August 2018, Dr. Lee will begin a one-year mentored training experience as one of six researchers selected from across the university to participate in the Transdisciplinary Research Leadership Program sponsored by the Office of Research at the University of Cincinnati. Dr. Lee’s long-term research goals are to promote the health of vulnerable populations through the development of strengths-based, culturally congruent interventions that support resilience, health and well-being during transition experiences such as homelessness. Her other areas of research interest include facilitating cultural competence and cultural humility through interprofessional education and the influence of social networks on health and illness behaviors and chronic disease self-management. Clark, A. & Lee, R. C. (2013). Transitioning through family homelessness and the effect of substance abuse on social support systems [Abstract]. Western Journal of Nursing Research. Weber, J.J., Lee, R.C., Martsolf, D. (2017). Understanding the health of Veterans who are homeless: A review of the literature. Public Health Nursing, 34(5). Ehrhardt, B., Jackson, K., & Lee, R.C. (2018). Making it stick: Development and testing of the difficult intravenous access (DIVA) tool. American Journal of Nursing, 118(7). Lee, R. C. (2016). Becoming the leader you were always meant to be. Reflections on Nursing Leadership, 42(2). Borchers, A., Lee, R. C., Martsolf, D., & Maler, J. (2016). (In Press).Employment maintenance and intimate partner violence. Workplace Health & Safety. Fawcett, J. & Lee, R. C. (2014). Advancing nursing knowledge: A response to Burns' letter to the editor. Nursing Science Quarterly, 27(1), 88. Lee, R. C. (2011). Book review: Transcultural caring dynamics in nursing and health care, by M. A. Ray. International Journal of Human Caring, 15(4), 69. Savage, C., Anthony, J., Lee, R., Kappesser, M., and Rose, B. (2007). The Culture of Pregnancy and Infant Care in African American Women: An Ethnographic Study. Journal of Transcultural Nursing, 18(3), 215-223. Savage, C.L., Xu, Y., Lee, R., Rose, B.L., Kappesser, M. and Anthony, J.S. (2006). A Case Study in the Use of Community-Based Participatory Research in Public Health Nursing. Public Health Nursing, 23(5), 472-478. Weber, J.J., Lee, R.C., & Martsolf, D. (2018). (Under Review).Pursuing the mission: How homeless veterans manage chronic disease. Global Qualitative Nursing Research. Baik, S.Y., Horner, R., Lee, R.C., Susman, J. (2018). (Under Review).Marginalization of depression care in primary care settings. Journal of American Board of Family Medicine. Baik, S.Y., Lee, R.C., Susman, J. (2018). (Under Review).How does an antidepressant get in a primary care clinician's toolbox?. Journal of Primary Health Care. Knapke, J.M., Short, A.D., Regan, S., Bakas, T., Butsch-Kovacic, M., Dariotis, J., Heubi, E., Lee, R.C., Lyle, K., Molano, J., Shuckman, S., Speer, B., & Kues, J. (04-2018). Promoting research collaboration through team science training. Academic Health Center Research Week, Cincinnati, OH ,University of Cincinnati.